Our priority is you comfort and safety throughout the whole program of your stay in Russia. We have prepared for you a customized tailor-made itinerary and we will take care of every detail of your travel arrangements. Besides activities in Star city we added a guided tour in the museum of RSC Energia – the Russia’s lead producer of spacecrafts. 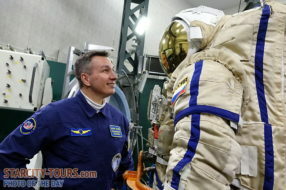 That’s the place where you will be able to touch Yuri Gagarin’s capsule. And you definitely need to tour the city of Moscow – one of the most beautiful cities in the world. Transport service, interpreter’s support and meals included.